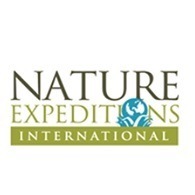 All Nature Expeditions International tours, river cruises, expedition cruises, and adventure trips. Find the best guided trips and expert planned vacation and holiday packages. Average rating of 0.0 for all Nature Expeditions International trips. Visit the art studios and wineries of picturesque Nelson. Alligator spotlighting and piranha fishing in the Amazon. Learning about jungle survival skills. Cruising along the Wedding of the Waters.